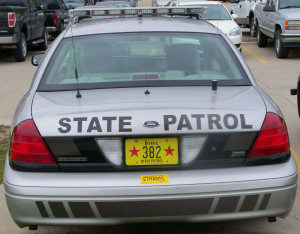 The Iowa State Patrol says a Fort Dodge motorist was killed in a two-vehicle accident on Thursday afternoon on Highway 17 just north of the Hamilton-Boone county line. The victim is identified as 47-year-old Heidi Beisch. Reportedly, a southbound 2009 Nissan Quest driven by Beisch lost control and spun counter clockwise into the path of a northbound 2014 Chrysler Town and Country minivan, driven by 30-year-old Emily Loughry of Webster City. The Loughry van struck the passenger side of the Beisch vehicle. Beisch died in the accident. Loughry and her three children were transported to the Boone County Hospital for treatment of non-life -threatening injuries.